Before Emily Woods ’19 started her internship at a homeless shelter in Boston, she was scared. Not of the population or any situation she might come up against. Woods was worried she might make a trying situation worse. 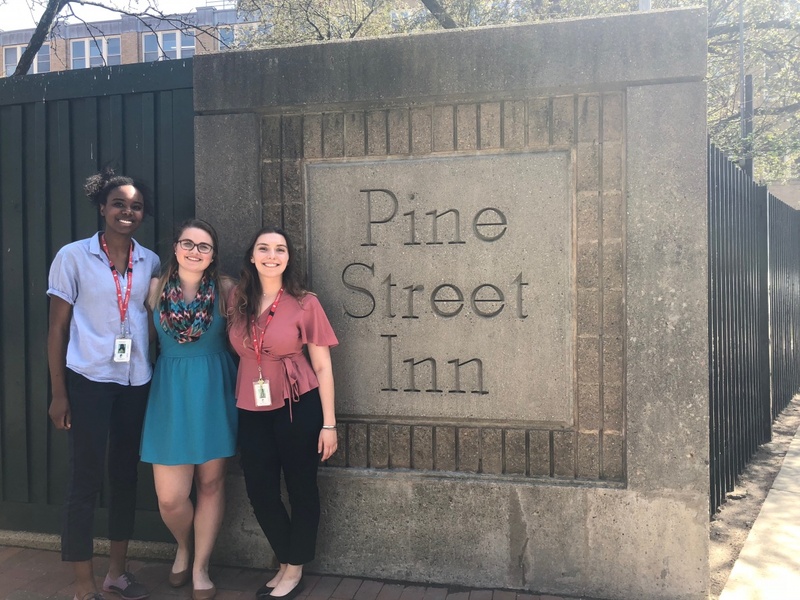 Woods gained that awareness through a 2018 Semester in the City internship at the Pine Street Inn, which has been serving the homeless population in the Boston area for 50 years. Among other things, she participated in the shelter’s annual homeless survey, going out on the streets from 10:30 p.m. until midnight to count people who had nowhere else to go. She also talked with clients about housing options and helped serve meals. The experience provided insider insight in her classes, most notably in her housing and homelessness course, where she could enter discussions based on real-world knowledge. This semester Woods is working at Haven, a Portsmouth, New Hampshire-based crisis center that helps people who are victims of domestic and sexual violence. She started at UNH as a psychology major before deciding she wanted to be involved with people on a day-to-day basis and help them find the resources and services they need. An introductory social work course made her feel she’d found her footing. Emily Woods (center) outside the Boston homeless shelter. The Pine Street Inn internship convinced Woods that she wants to work with people who often don’t have a voice. She isn’t sure yet what community that will be, and she’s not limiting herself. At Haven she is learning just how vast and varied the needs of such populations are. That’s not a prevalent awareness for many college students. But it is an example of how opportunities they capitalize on now can shape their futures. Woods is in the accelerated master’s program. In May, she will receive her undergraduate degree and then continue with the 12-month curriculum, participating in another internship in addition to coursework before getting her graduate degree in social work in May 2020. Learn more about what you can do with a degree in social work.